Last three decades in particular while on one hand one saw the plethora of Godmen like Mahesh Yogi, Rajneesh, J.Krishnamurthy, Asaram Bapu, Satya Sai baba (Bhagwan) coming to the fore, the popularity of Sai Baba of Shirdi and Mata Vaishno Devi has gone up exponentially. Bhagwan Satya Sai, who died few years ago, had vast following and he was regarded as the reincarnation of Shirdi Sai baba. 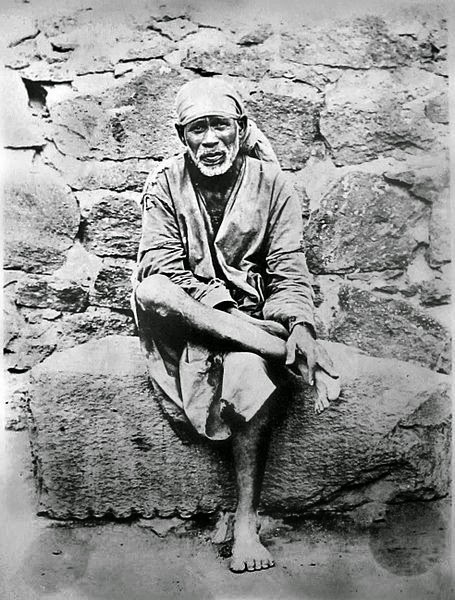 At the same time Shirdi Sai pilgrimage became very popular and his temples came up in most cities. Sai Baba of Shirdi has a beautiful syncretic background. While he was born in a Muslim family he came up more in Sufi tradition and intermingled with equal affection amongst Hindus as well as Muslims. His major focus was bringing Hindus and Muslims together. One major landmark in his life will give the essence of his efforts. In 1896 he instituted the annual Sufi ‘urs' festival with the explicit purpose of bringing these two communities together. In 1912 he combined this Urs with Hindu Ram navami festival. This effort of his strengthened his Sufi initiative of co-operation, symbiosis and tolerance. During the festival Hindus would worship in the mosque along with Muslims, each community following their own rituals. The Baba would put the sandalwood paste on the forehead of Mlahspati, the priest of local Khandoba temple, who in turn would reciprocate the gesture. Baba was deeply steeped in humanism, the core of all religions, and so initially Muslims as well as Hindus started respecting him. The controversy around worshipping of Sai Baba was raised by Shankaracharya Swami Swaroopanand (June 2014) who described Shirdi Sai baba as a Muslim ascetic, and proclaimed that he cannot be worshipped like a Hindu deity. He also said that his campaign is to protect the Hindu religion and that he will continue irrespective. Sadhvi Uma bharti currently Union Minister of Water Resources, who was one of the prominent figures in Ram Temple agitation, leading to demolition of Babri masjid and deepening the communal divides, is also worshipper of Sai baba. In a letter to Swami Swaroopanand she explained the rationale behind her statement where she had said that looking upon someone as a god was people's personal choice. Why is there no mention of pantheism, panentheism, and deism?